Each week, Mark Schofield watches a lot of tape. This makes him a force to be reckoned with in fantasy football, as he always knows who to sit and who to start. This week he looks at the Washington defense ‒ and how Terrance “Pot Roast” Knighton is an IDP superstar. Here is a secret you might have missed, given all the offseason turmoil in Washington surrounding the quarterback position: Their defense is pretty good. They have quietly assembling a stout defense that is very tough to run against. 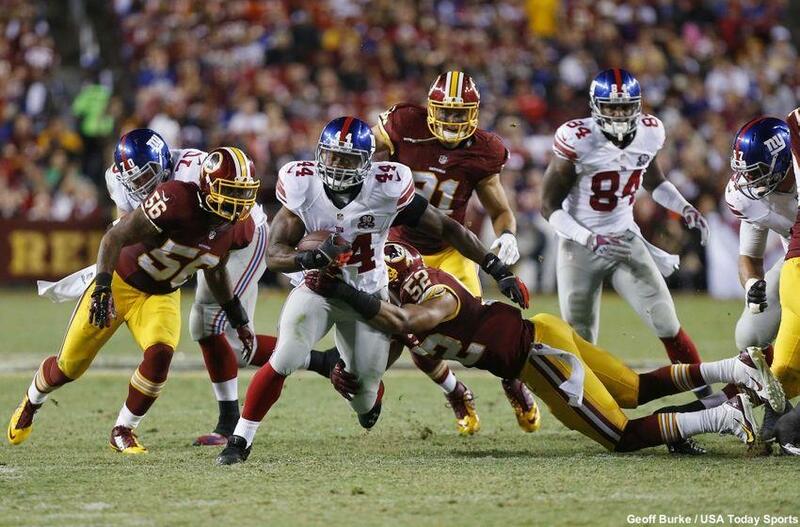 Through three games Washington is one of the top rush defenses in the NFL, allowing just 75 yards per game. Only the Buffalo Bills (74.0) and the New York Giants (74.7) have been tougher against the ground game. Making this defense click are two players on the inside, nose tackle Terrance Knighton and inside linebacker Keenan Robinson. Knighton pushes the two blockers into the backfield, forcing running back Rashad Jennings (#23) to make a cut behind the line. His cutback takes him right into the waiting arms of Robinson, who has fought through the block of Donnell and into the backfield. 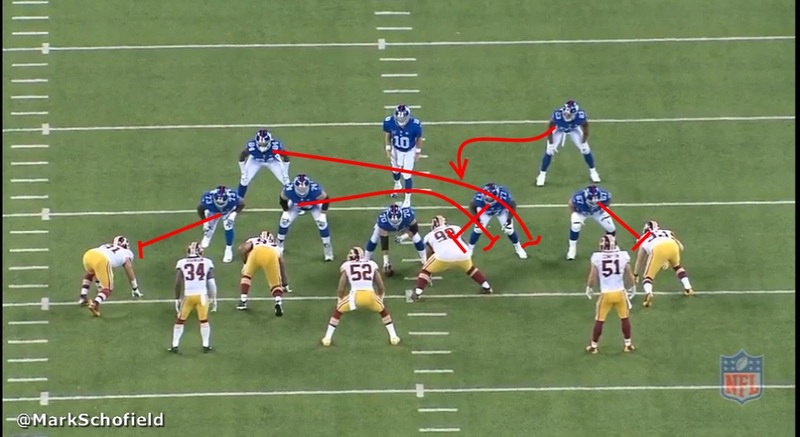 The NT holds up both blockers, and by the time Schwartz tries to peel off to engage Robinson, the ILB has cut inside and knifed down Andre Williams (#44) for a minimal gain. 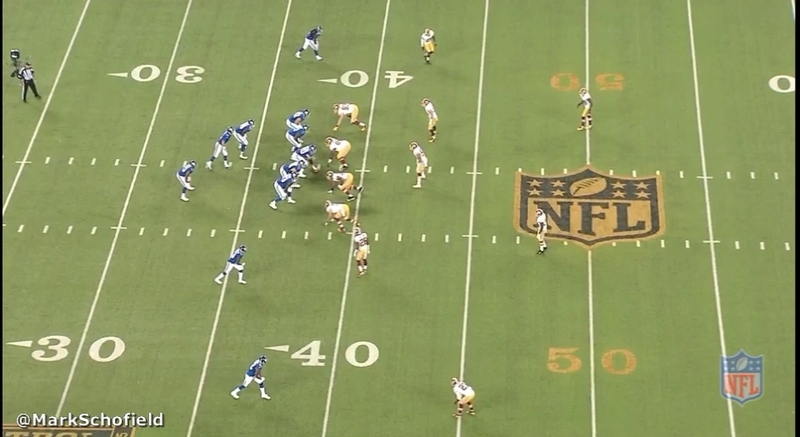 In addition, Knighton’s strength once again forces the RB to cut back inside ‒ right into the waiting arms of Robinson. 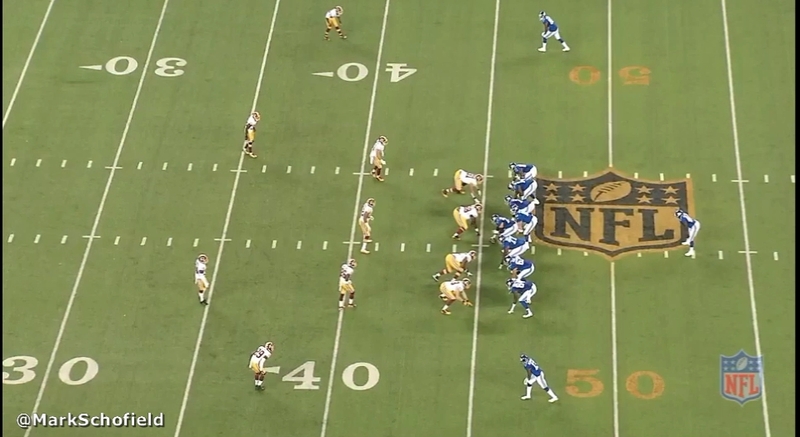 The blocking scheme calls for Jerry, the LG, to block down on Knighton. Schwartz and Donnell pull to the left side of the formation to take on the defenders at the second level. 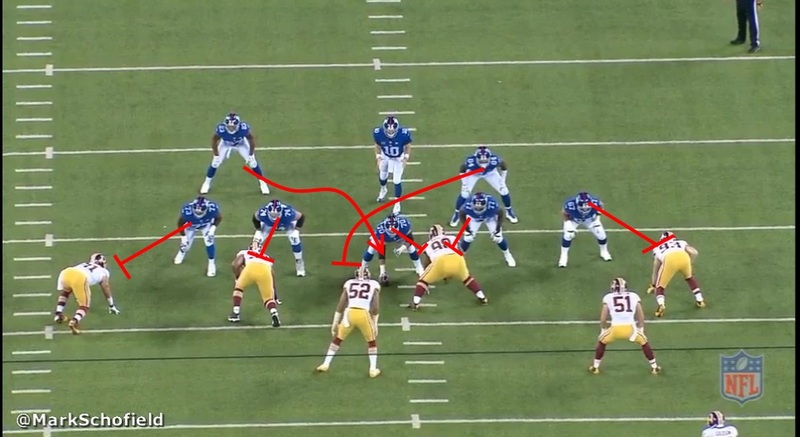 Jerry attempts to block the nose tackle on the interior, but Knighton holds his ground. Trent Murphy (#93), lined up as a defensive end, cuts inside on this play, and the left tackle rides him down the line in the direction of Knighton. As Schwartz and Donnell pull, they both block linebacker William Compton (#51). 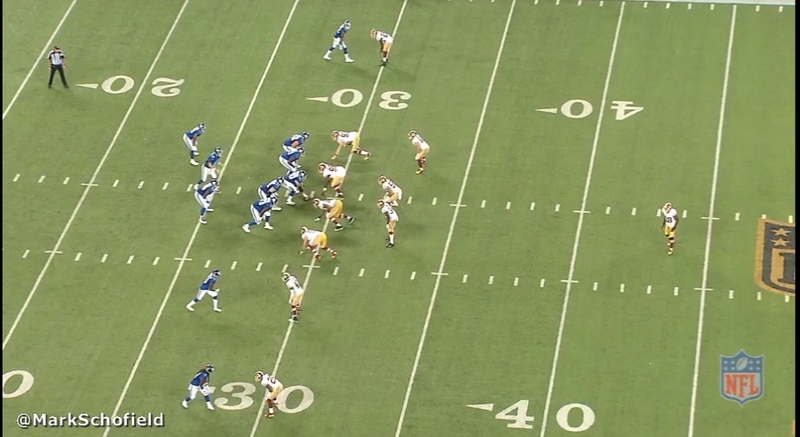 Lost in the flow of traffic is Robinson, who stops this play for no gain, forcing the Giants to punt. These two players are becoming a dominant force against the run on the inside for Washington. 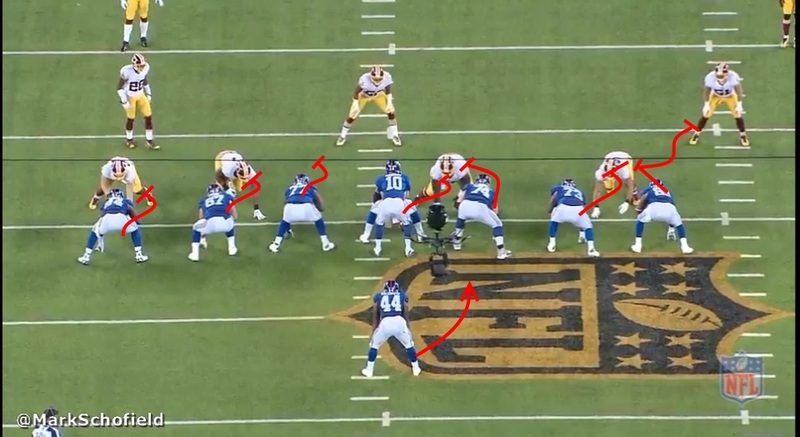 With Knighton occupying two blockers on most plays, and clogging traffic in the interior, Robinson is free to scrape to the hole and make plays against the run. Finally, a quick word of advice for fantasy players: If you play in an IDP league, and you are not one of the 14.1% of owners who have Robinson on your roster, you might want to change that. Today. Follow Mark on Twitter @MarkSchofield. Mark Schofield has always loved football. He breaks down film, scouts prospects, and explains the passing game for Inside the Pylon.